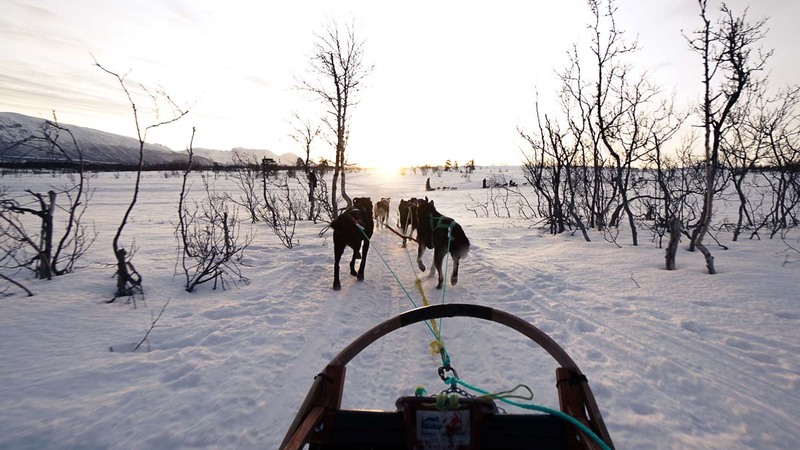 Go aurora hunting in Tromsø, drive your own husky sled, take a road trip amidst the scenic terrains of Lofoten; all in this 7 day Norway itinerary! Travelling in Norway is notoriously expensive. An average restaurant meal costs more than S$20, a basic hostel can cost S$60–80 and car rentals are S$100/day. 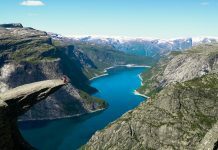 This isn’t a guide on travelling around Norway in the cheapest way possible, but on experiencing the best it has to offer, sometimes treating yourself to affordable luxuries without bursting your overall budget. For 7 days in Norway, we went aurora hunting just outside Tromsø city, spent the night camping in a cosy Sami hut, went husky sledding and took a relaxing road trip in the Lofoten islands. If you’re up for the ride, here’s how to experience them all for under S$3k including flights from Singapore! We’ve also included budget alternatives that could cut a few hundred off your budget. 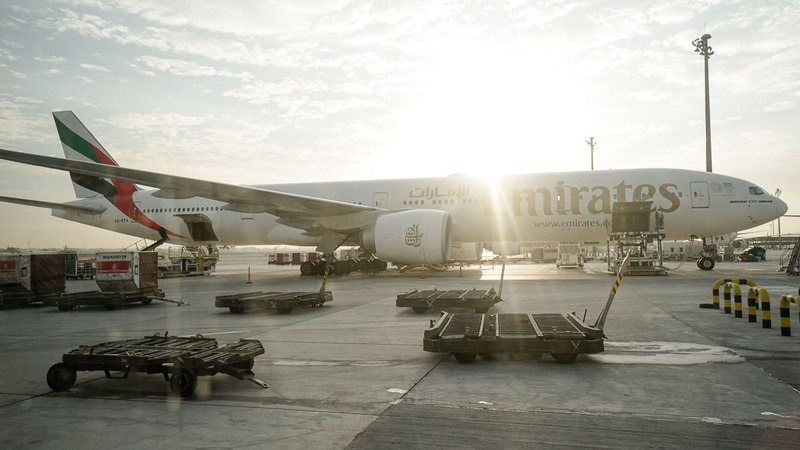 Flight: We flew via Emirates for just under S$1.2k. From Singapore, we broke our flight into 2 parts. A 6-hour flight from Singapore to Dubai where we made a 48-hour stopover, before we continued on a 7-hour flight to Oslo. You can have a shorter stopover but we highly recommend exploring Dubai if you have the time! Check out our 48-hour stopover itinerary in Dubai. 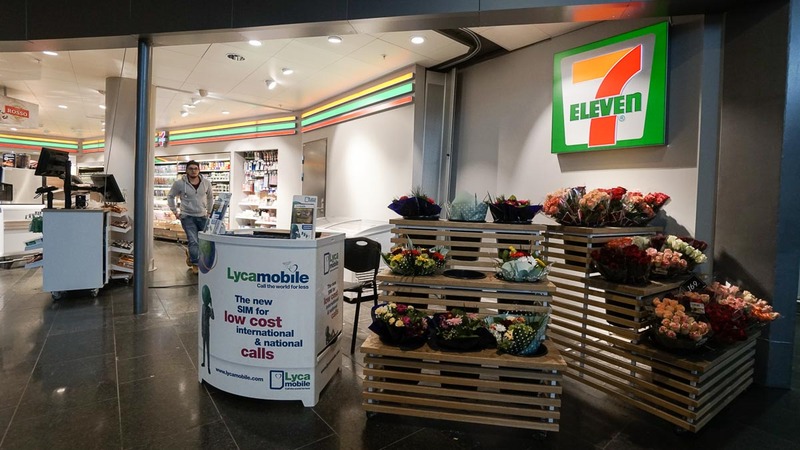 Data SIM Card: From Oslo airport, there’s a booth outside 7-Eleven that sells SIM cards from the brand Lyca Mobile. Prices are similar to the ones sold outside and come in plans ranging from 1 – 3GB for 129 – 299Kr. 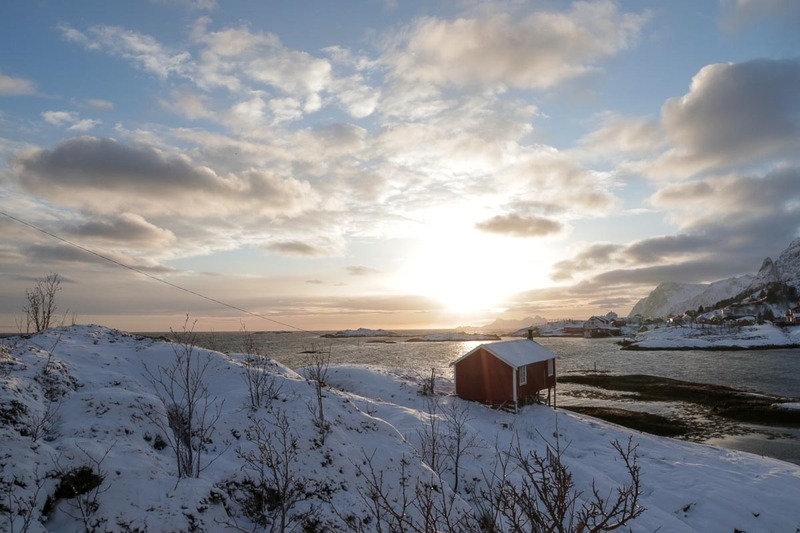 Best months to visit for winter: Weather in Norway is pretty extreme. You can have almost 24 hours of sunlight or almost 24 hours of the sun barely peeking over the horizon. If you’re here for the snow covered wonderland and the Aurora Borealis, Dec – Feb are prime months. Despite few hours of sunlight, the upside is that you can experience up to 4 hours of warm golden (hour) hues and the light is almost never harsh — excellent conditions for photos. Oslo for us was a quick stopover to meet up with a friend before catching our flight to Tromsø. Unless you’re a huge fan of museums, our take is that you can pick 1-2 sights to explore before catching a late night flight to Tromsø. 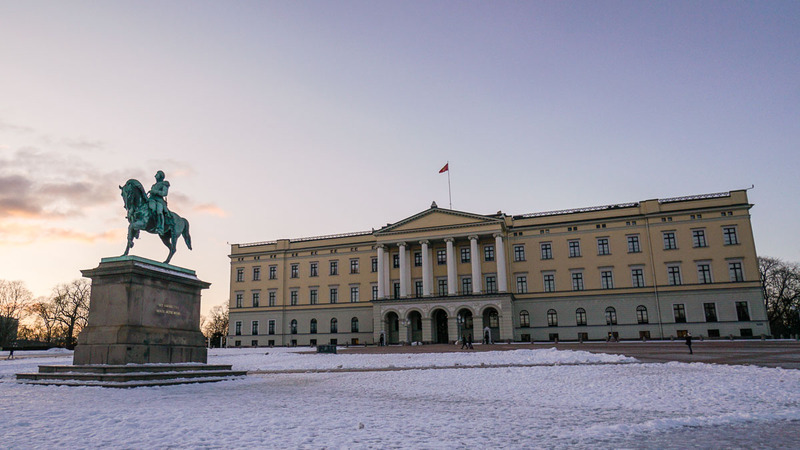 *Pro-tip for museum fans: Purchase the Oslo Pass (395Kr for 24 hours) which covers entrance fees to 30 different museums as well as Oslo’s public transport within zone 1 and 2. Oslo’s public transport system is priced by zones. If you’re planning to visit just 1-2 sights, it might be cheaper to get a single ticket. 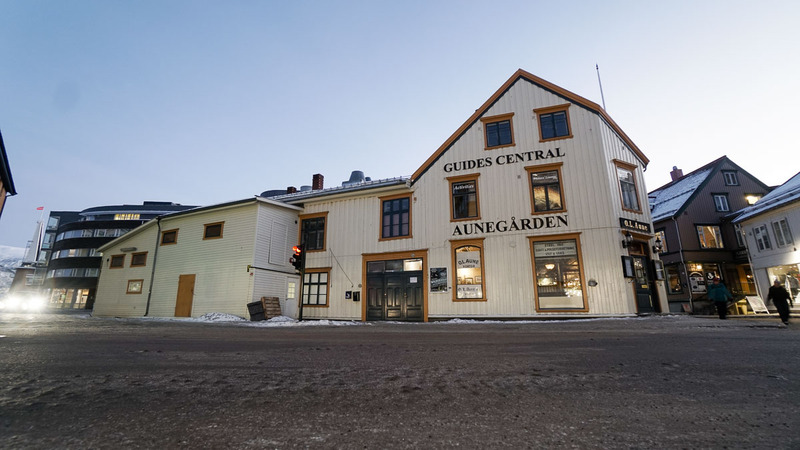 If you’re exploring more sights across different zones, you can purchase a 24-hour ticket for 237Kr. The ticket can be purchased in a Travelcard or via the RuterBillet app. 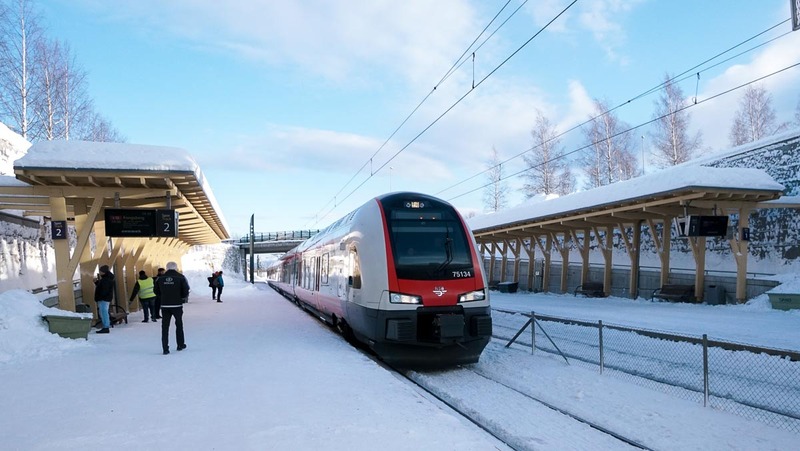 If you’re not staying the night in Oslo but have some time before catching your flight to Tromsø, you can leave your luggage for 80Kr at the station lockers in Oslo S (Oslo central) or Nationaltheatret train station (where the Royal Palace is). 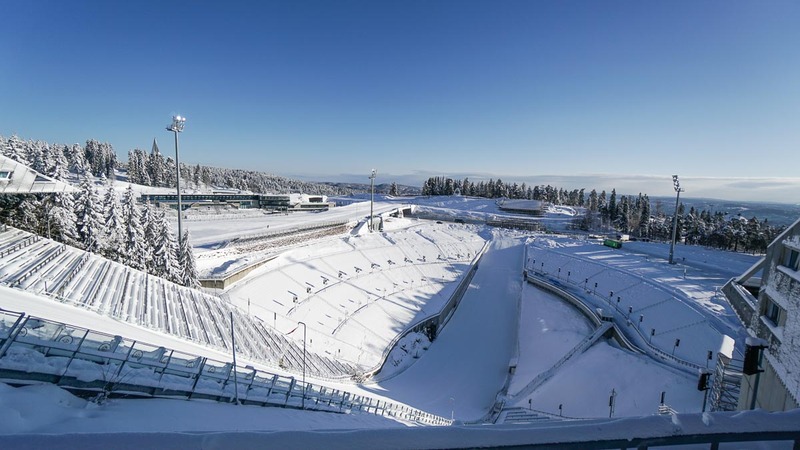 20 minutes from the city centre by train will get you to the neighbourhood of Holmenkollen, where the 1952 Winter Olympics was hosted. 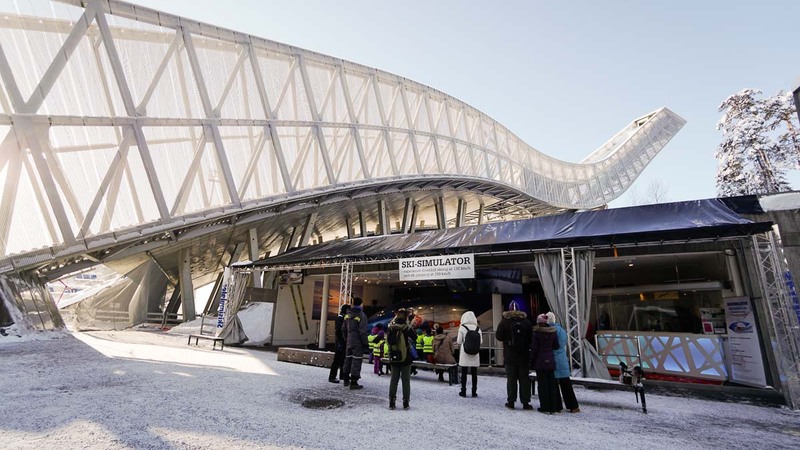 You can see Oslo’s most iconic ski jump tower just as you exit the train station and if you look close enough, you might even spot skiers flying down the slopes — yes, they’re literally in mid air for some time. Spot the pros flying down the slopes. For the non-pros who’d like a taste of adrenaline, there’s a ski simulator ride below the jump tower. Experience downhill skiing at 130km/hr and ski-jumping at 100km/hr while sitting safely within the simulator. How to get there: From the airport, take the train (towards Tabekk) and get off at Nationaltheatret station. 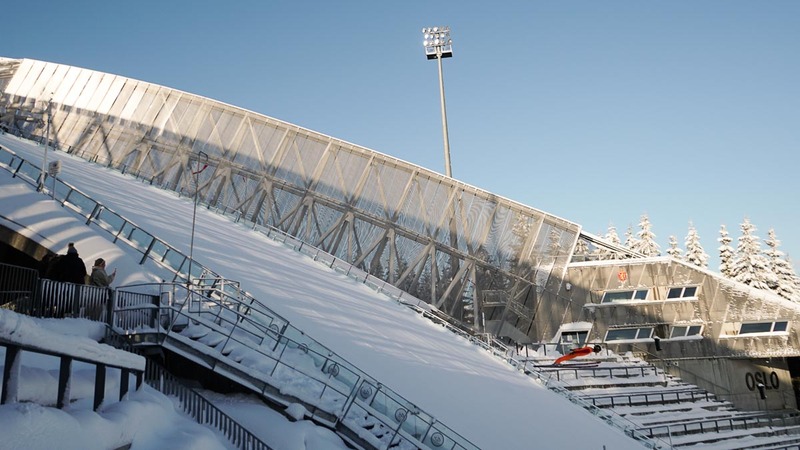 Change over to the T-bane (towards Frognerseteren) and get off at Holmenkollen station. 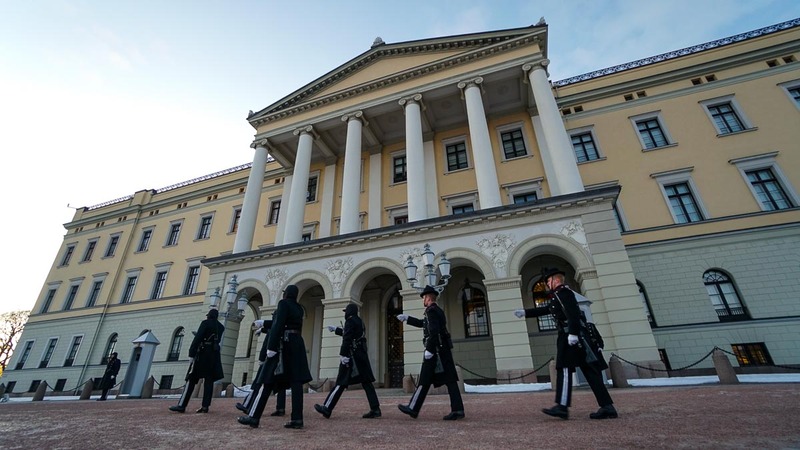 A 19th century palace, this neo-classical style building is the official residence of the current Norwegian monarch. Every day at 1:30PM you can catch the change of guards ceremony regardless of the weather. How to get there: Take the T-bane (towards Bergkrstallen) and get off at Nationaltheatret station. For evening flights, you can catch the 7PM or 9PM Norwegian Air flight which arrives in Tromsø at 8:55PM and 10:55PM respectively. 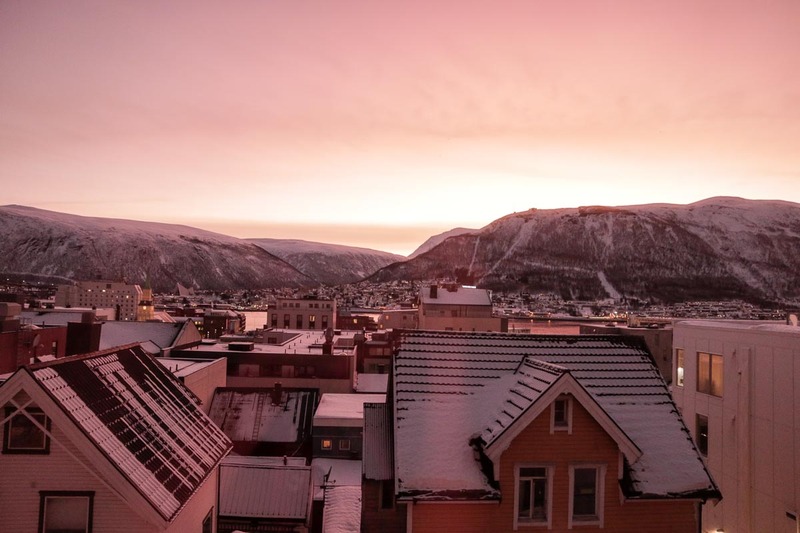 In summer, Tromsø is known as the 24-hour party city since the sun barely sets. In winter, the city gets on average 4-6 hours of daylight which means more opportunities to catch the Northern Lights (Aurora Borealis). (1) Airport shuttle (Flybussen) — 15 minutes to Tromsø Sentrum (100/160Kr for single trip/round trip). Be sure to check the timetable and take note of the last bus timings! You can purchase round trip tickets from the airport or single tickets on board the bus. (2) City buses (no.40/42) — 45 minutes to Tromsø Sentrum (50Kr for single trip).` Tickets are purchased on the bus. 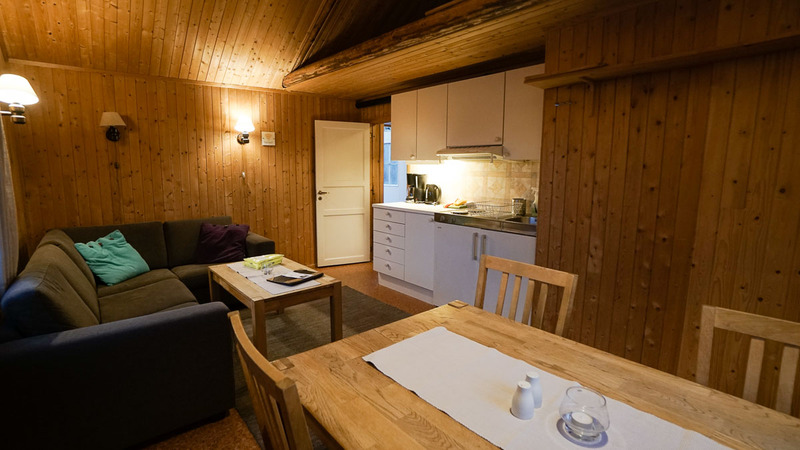 Accommodation in Tromsø can be expensive even if you’re opting for hostels or budget hotels but the great thing is, most will have kitchen access so you can prepare some meals on your own without burning your budget on restaurants. (1) Enter Tromsø Hotel Range: This is a popular hotel chain consisting of four hotels, each with its own distinctive style — ranging from cosy wooden apartments for those who like more privacy to basic but cosy backpacker rooms with communal areas that are great for meeting other travellers. 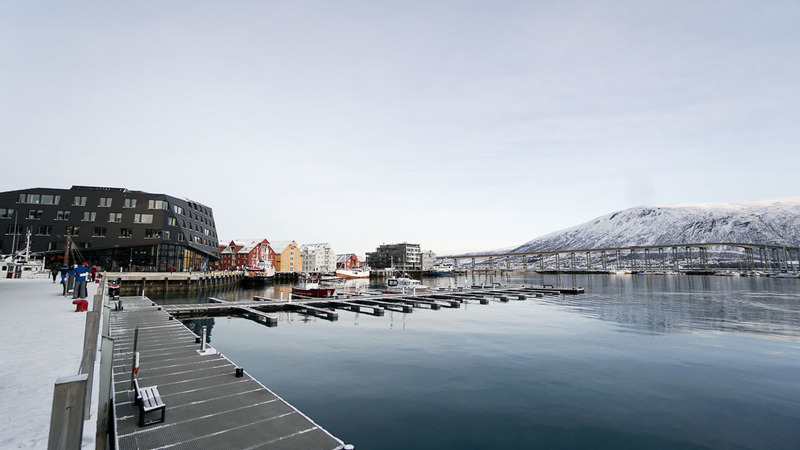 All of them are located in the heart of Tromsø city centre, making it easy to walk to all of the city’s main attractions. 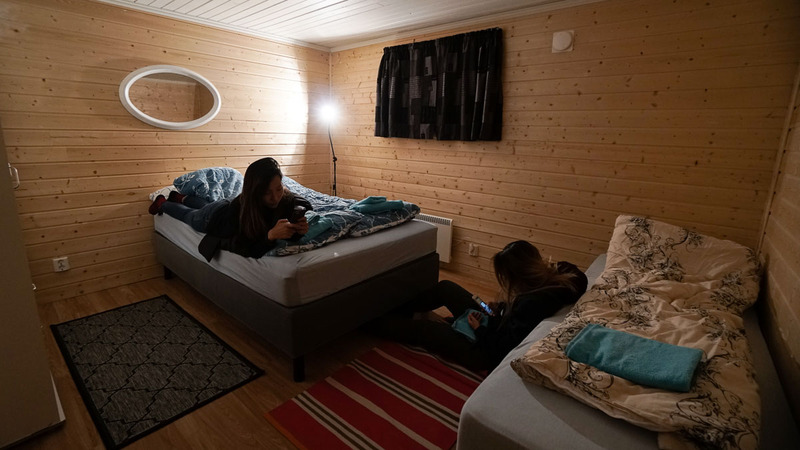 We checked ourselves into a room at Enter Backpack Hotel at S$205 for a triple room which comes with 3 single beds, shared toilet and bathroom as well as access to a communal kitchen. The room was basic but cosy; and the best part was the view. 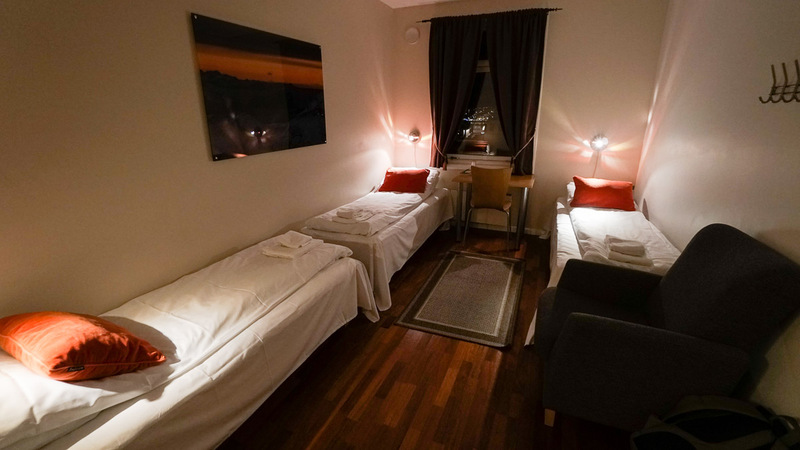 (2) Couchsurf/Airbnb: For those with tighter budgets, Norway is one of the best places to experience couch-surfing. Alternatively, there are Airbnb listings like this at half the cost (S$125) for the same number of guests. 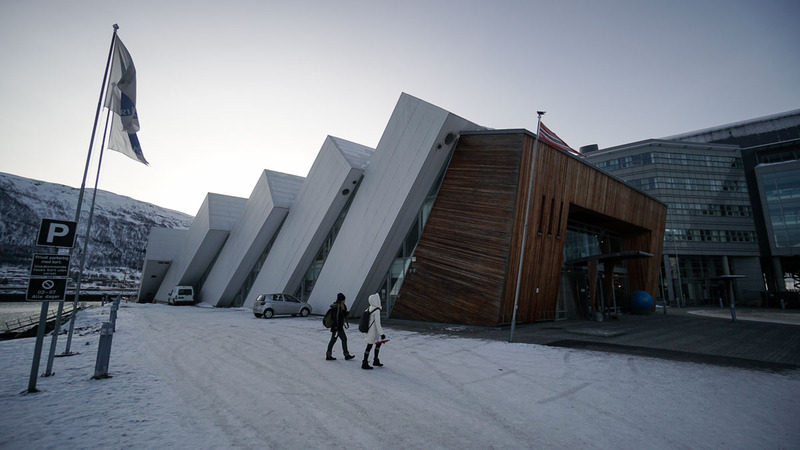 Apart from the interesting architecture — made to resemble the Arctic ice floes pressed up on land — this building houses bearded seals as well as other arctic sea creatures with interactive features like those at a science museum. You can catch the seals being fed at 12:30PM and 3:30PM (winter timings) as well as 2 scenic films shown in the panoramic theatre. From Polaria, we decided to take a 45-minute walk to our next point (Fjellheisen). 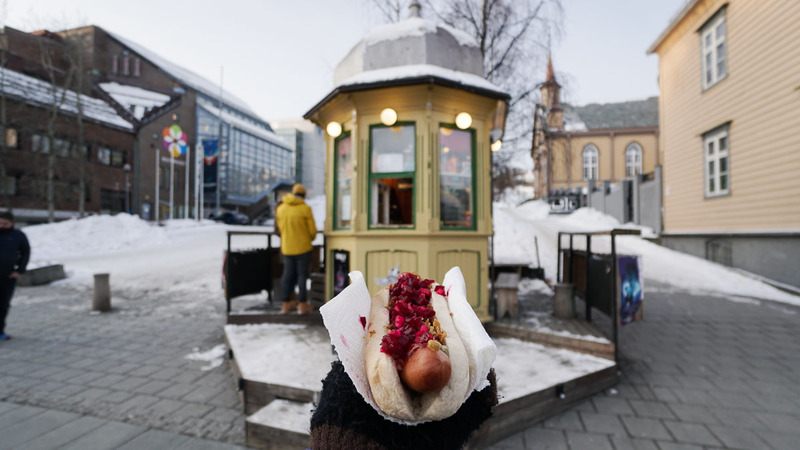 The pay-off came just before the Bruvegen bridge, where there’s a small yellow hotdog stand — Raketten Bar & Pølse — that advertises itself as having the best hotdog in the universe! Hotdogs come with the option of a potato wrap (absolutely delicious) or a classic bun with 3 toppings — raw onions, fried onions and beetroot (I’d highly recommend asking for all)! 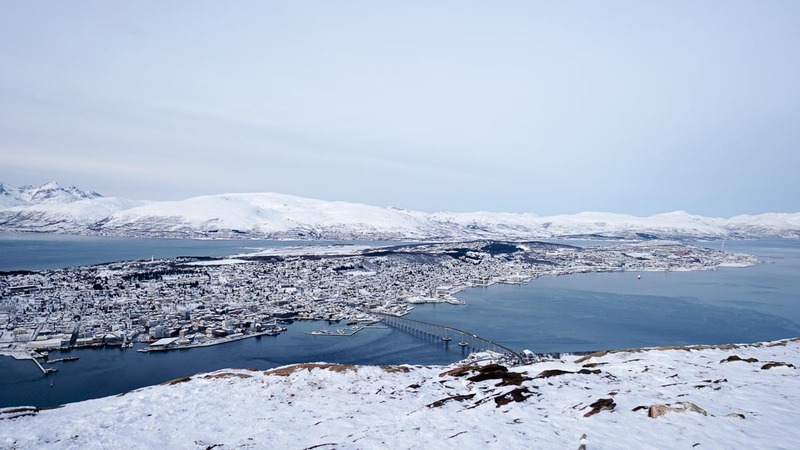 At 420m above sea level, the top of Mount Tromsdalstinden has arguably the best view of Tromsø city. In the summer, there’s a popular route which takes about 1.5 hours to hike up. 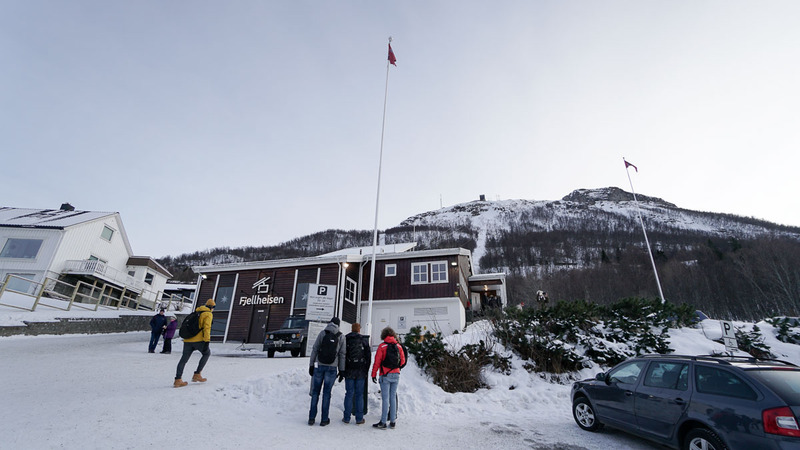 In winter, there’s probably too much snow so the more popular option would be the cable car — Fjellheisen — which gets you to the top in just 4 minutes. 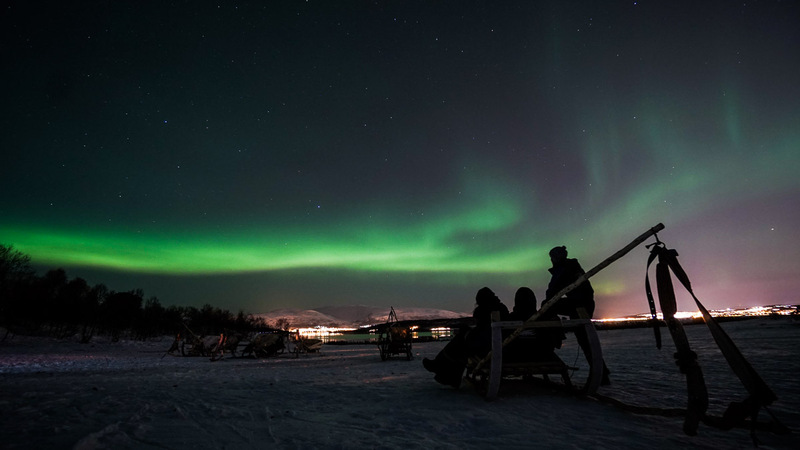 One of the biggest highlights of Tromsø in winter is the chance to catch the Aurora Borealis (Northern Lights). On a clear day with high Kp index, it’s possible to spot the lights from Tromsø Sentrum. But because of light pollution from the city, most people travel slightly out for a better view. Waiting for auroras outside in the cold can be torturous. I still remember my experience 2 years ago in Iceland. We drove out on our own and chatted in the freezing car (the engine was shut periodically to save on fuel) while waiting for the auroras – but they never came that night. It was a cold night but the skies were clear. 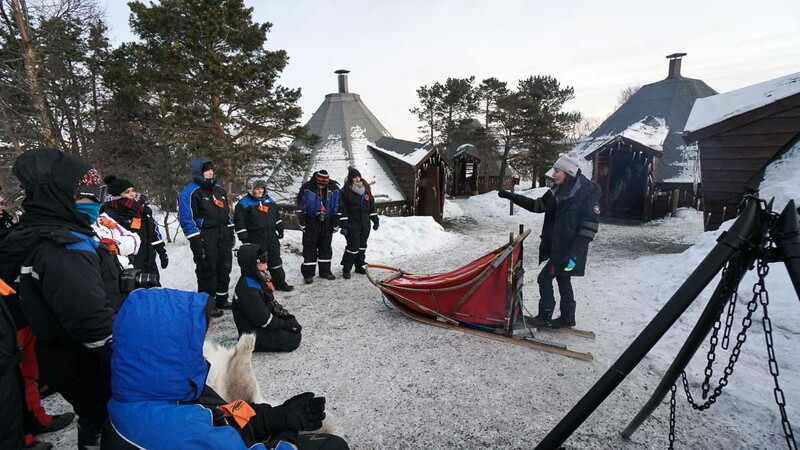 Seated by a toasty campfire, over which we roasted marshmallows, the guide had just warned that the Kp levels were pretty low but the auroras love to surprise. And true enough, we didn’t have to wait for long. 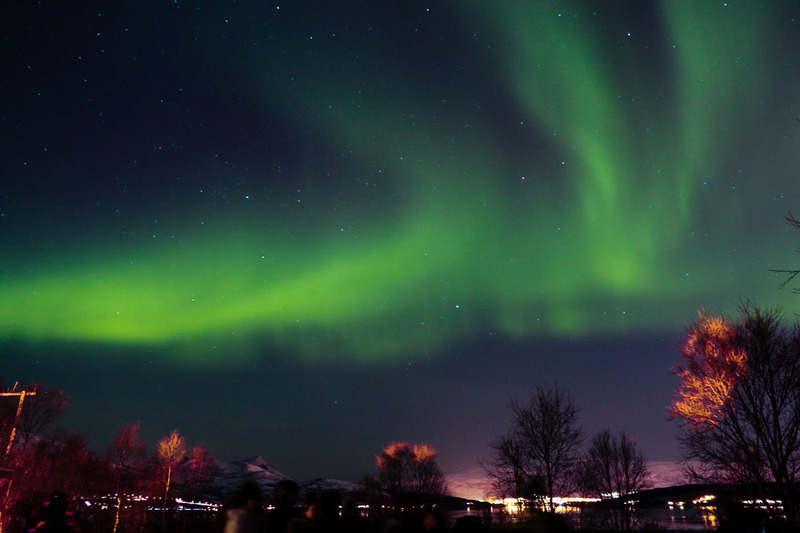 The auroras arrived in the most spectacular fashion we could have hoped for. It wasn’t too obvious at first but as our eyes adjusted to the darkness, you could see the waves of green traversing through the sky above us. Dinner was a warm and bowl of Bacalao — a classic Norwegian stew of salt cod (sometimes served with reindeer meat). 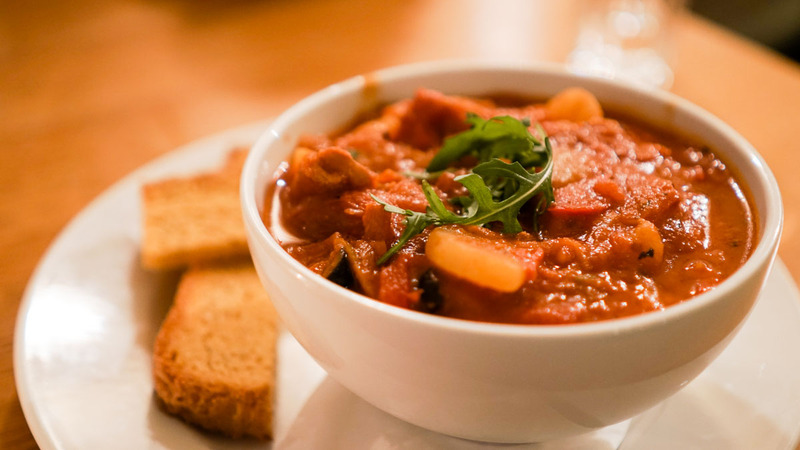 One of the most delightful dishes to have in winter. After dinner, we were brought out to meet the friendly huskies in their pens. 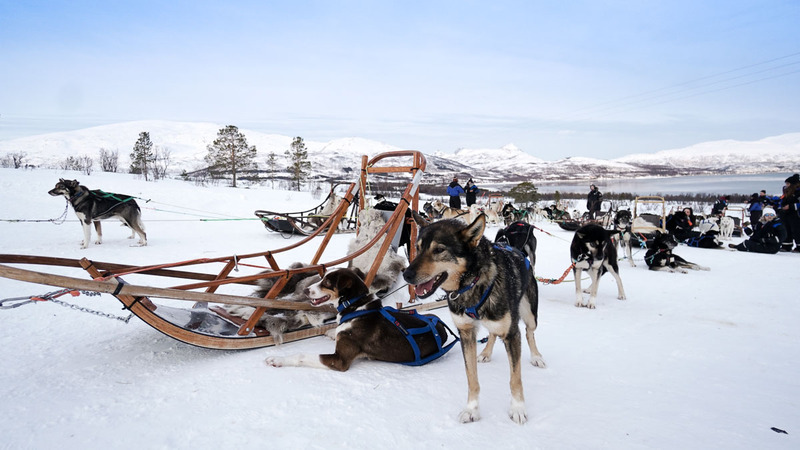 These Alaskan huskies look slightly different from their Siberian counterparts with their leaner built making them more adept at racing. All of them are super friendly and enjoy a good belly rub. 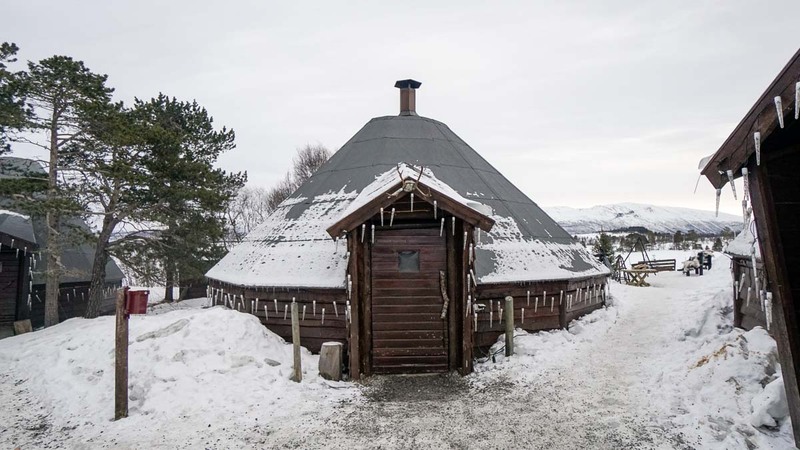 Accommodation for the night was in a cosy Sami hut with a fireplace in the middle. 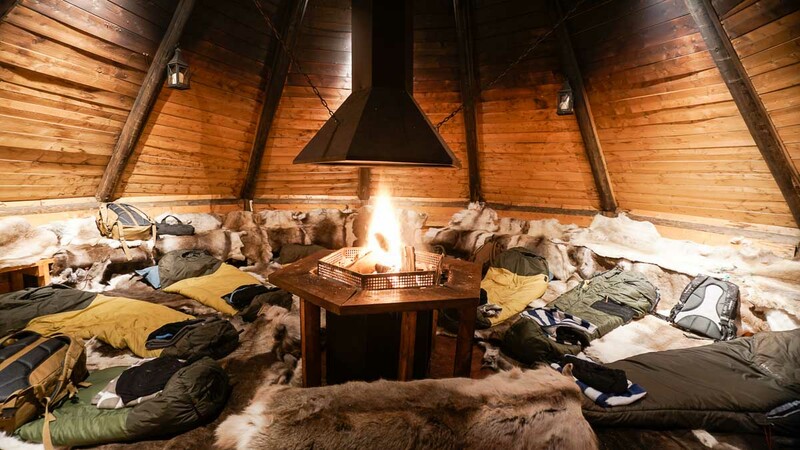 The floor was covered with reindeer hide (known to be really good at trapping heat) and we each had a puffy thermal down sleeping bag to disappear into. The next morning, call time was at 8AM and the sky was already bright. After a simple breakfast, we were fitted with jumpsuits and boots (these were lifesavers) before meeting the huskies at their sleds. The huskies were strapped and excited to get going. I used to think it was cruel to put the dogs to work but you can tell for them, this is a job they love. Fun fact: The huskies usually run together in the same team through their lives and 90% of the alphas are females. If it’s available, I’d highly recommend watching Eight Below before this! 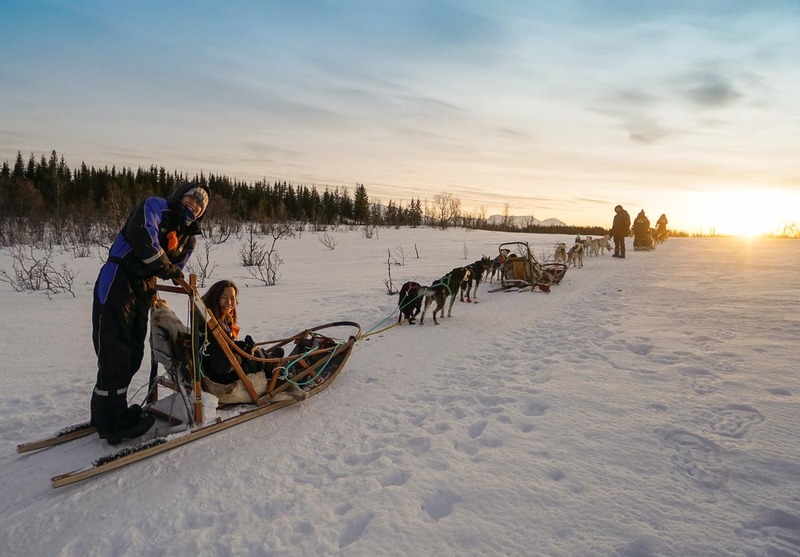 For the husky sledding experience, there’re 2 options: be a rider or a driver! 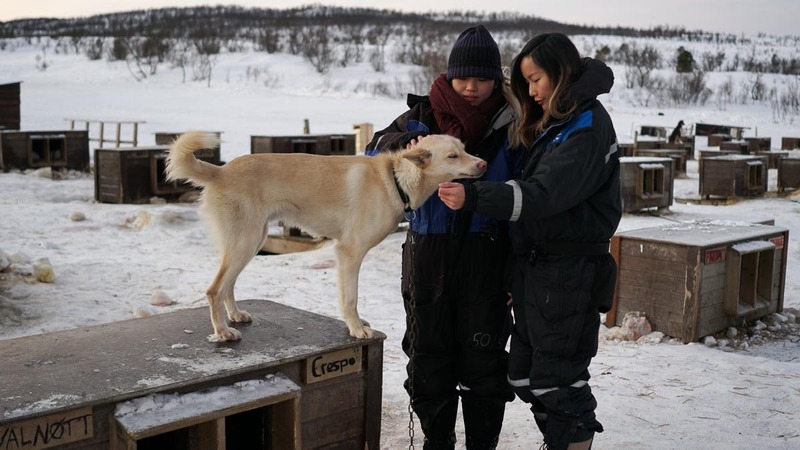 As a rider, your sled would be driven by one of the husky trainers and there would be up to 8 huskies leading your sled. I can imagine the sleds moving quite fast for this. Of course, we picked the driver option and to our surprise, it was very manageable! 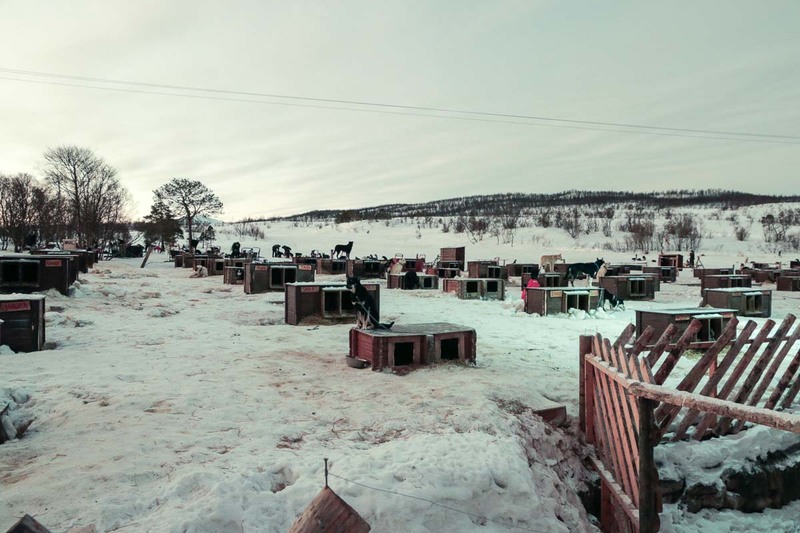 You’d get 5 huskies per sled and there’s a midpoint to switch spots with your partner. Despite the skies being lit for over an hour, we still managed to catch the sun rising over the horizon during our ride. The tour includes a hot meal for lunch before our bus ride back to Tromsø Sentrum by 1PM. *Pro-tip: Get your tour via Klook for cheaper rates. 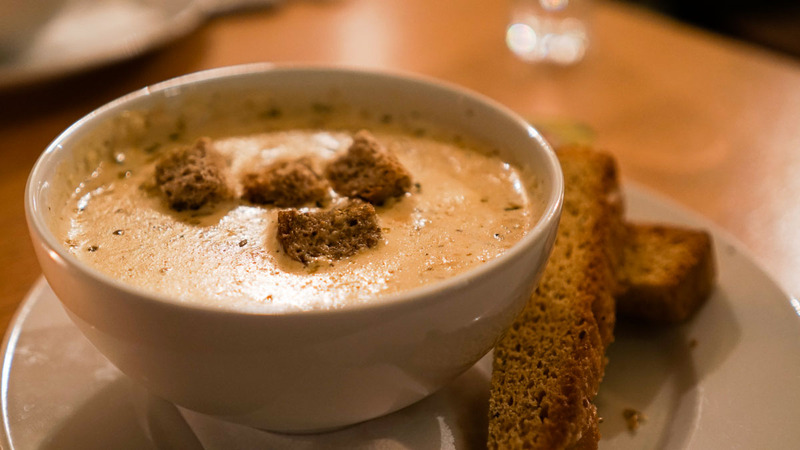 Apart from Bacalo, Fiskesuppe — a chowder-style fish soup — is another must-try here in Norway! You can find it in almost any local restaurant and it’s almost always really good especially if you’re retreating from the bitter cold winds outside. 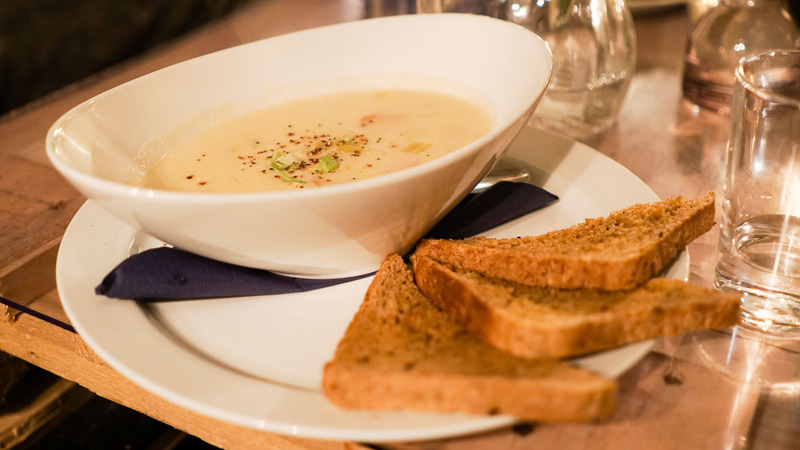 We popped by a cosy wooden restaurant called Aunegarden that serves a bowl for 145Kr. 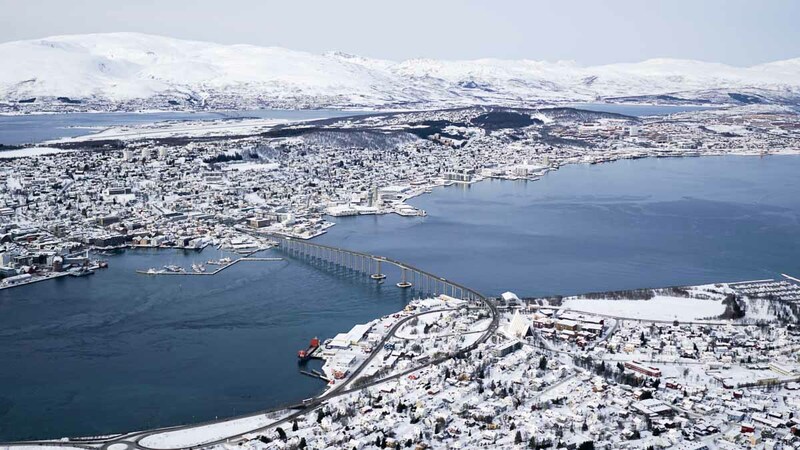 (2) Fly from Tromsø to Bodø and take a ferry to Moskenes — ~S$150; 50 mins direct flight via SAS + S$37; 4hr ferry to Moskenes. Check the timetable here. 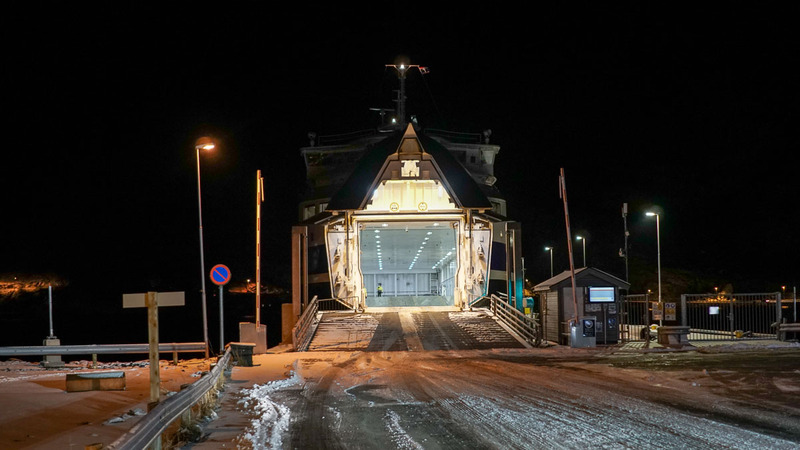 This ferry carries cars as well so you can rent the car from Bodø or just collect it from Moskenes. 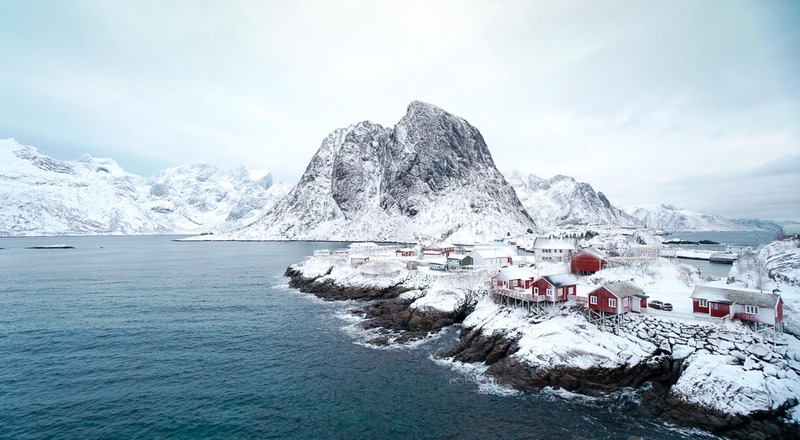 Surrounded by tall snow capped mountains, filled with little red sea houses by the water, I don’t think I’ve seen anything as charming as Lofoten. In summer, Lofoten is especially popular for hiking over the never ending days with the Midnight Sun. Popular among travellers are sea activities such as kayaking and surfing. In winter, it’s a winter wonderland without a lot of sunshine but the long golden hours make it a photographers’ haven. I think the best way to show you guys is to let the pictures do the talking. 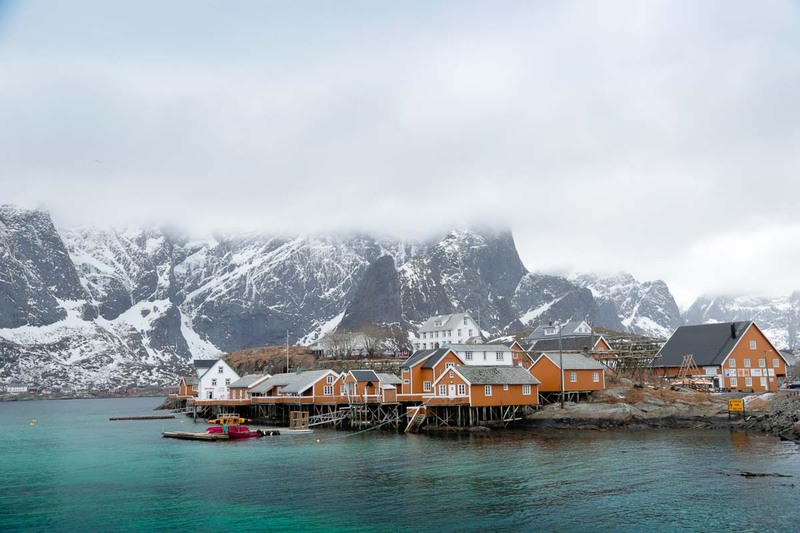 Lofoten is an archipelago comprising of 7 islands, 5 are connected by bridges and can be reached by land transport. 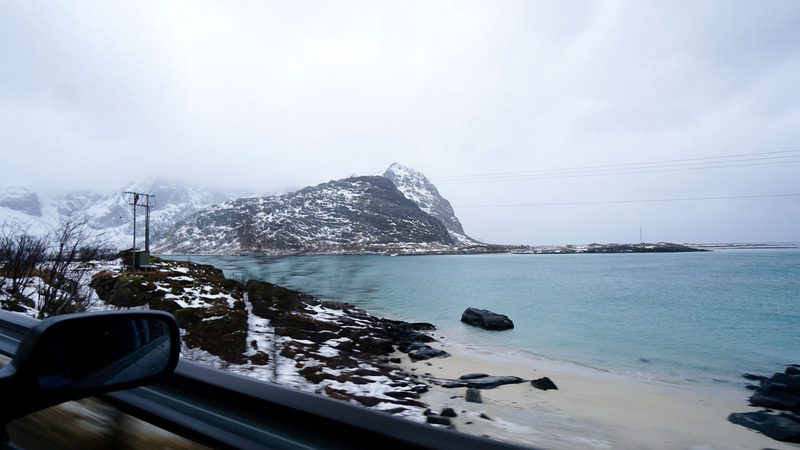 The best way to experience Lofoten is really by renting your own car. Not only is public transport here sparse and infrequent, you’ll probably want to stop every 10m to snap a photo. Yes, everywhere is postcard worthy! The cheapest rental company we found is RentacarMoskenes which charges 600Kr/day for a Toyota Corolla (or equivalent). There’s an option to pick it up from Leknes Airport (if you’re flying in) and returning at Moskenes for a surcharge of 1000Kr. 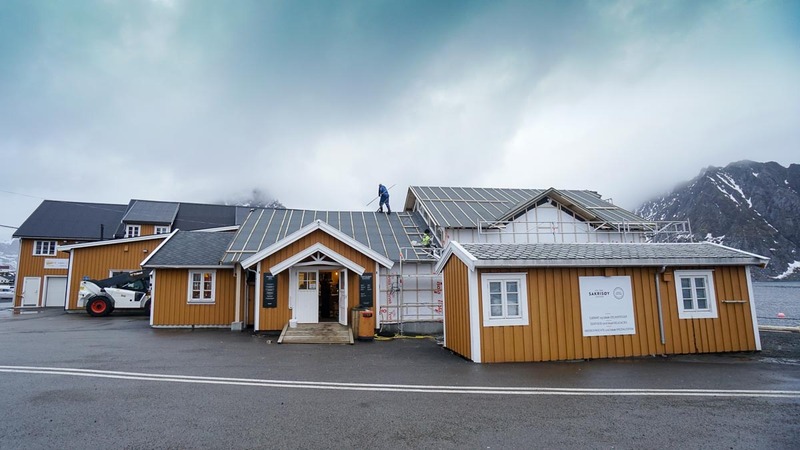 For us, we flew in to Leknes airport, started our journey from Vestvåg, made our way south towards Flakstad, before ending off in Moskenes where we caught a ferry to Bodø. 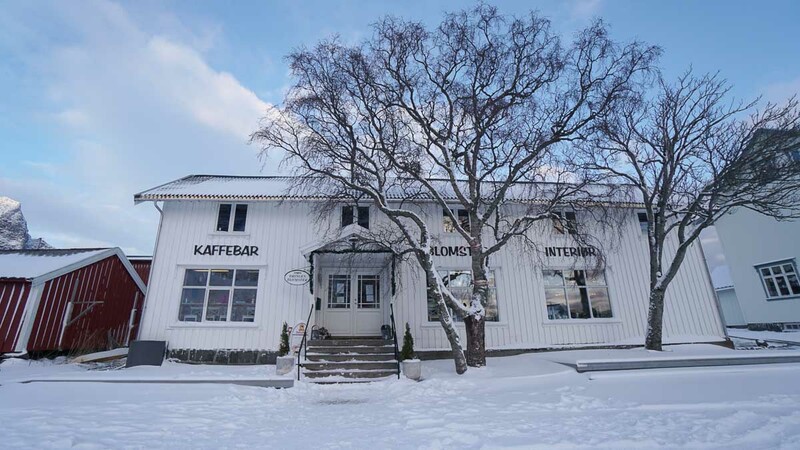 Since we took a late night flight from Tromsø, we picked a place just 10 minutes from the airport. The next morning, check out of your accommodation to explore once the sun’s out. With mountains as the backdrop and interesting rock formations near the shore, this is perhaps one of Lofoten’s most photographed beach. 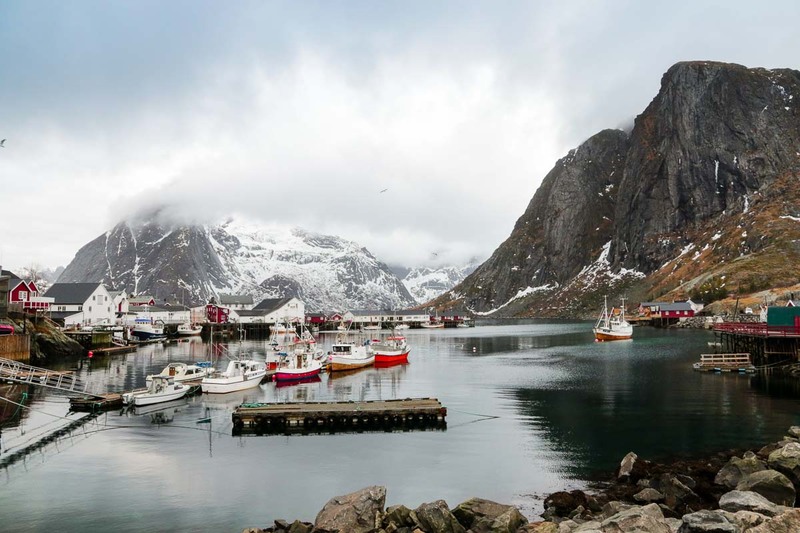 If you’re up for the challenge, you can even take on a 1-hour coastal walk between Uttakleiv and Haukland — otherwise, it’s a 5 minute drive. 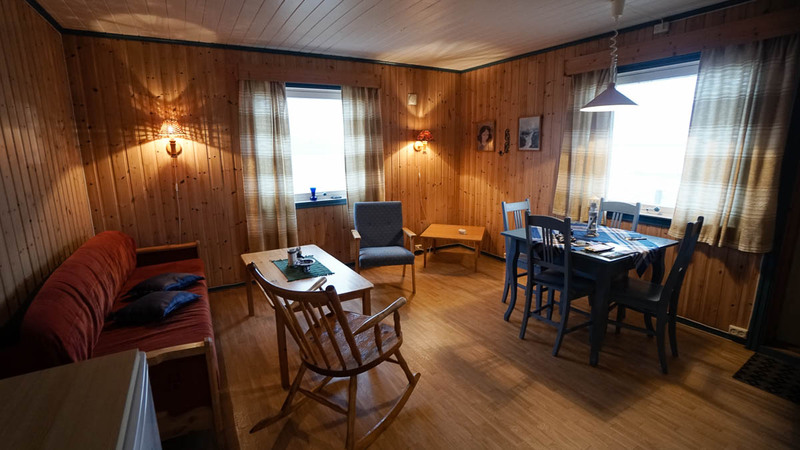 Check into a cosy rorbuer (Norwegian fishermans’ cabin) in Flakstad. Lynderson’s Rorbuer was located just across the Fred Vang bridge giving us the perfect vantage point of the bridge, the sea port, and a grand backdrop of mountains. 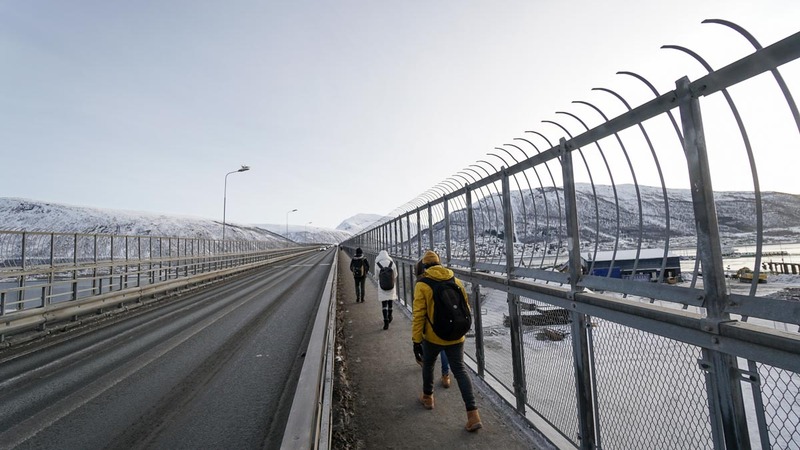 The iconic Fredvang bridge that connects Vestvåg and Flakstad. In the afternoon, you can spot a crowd of seagulls circling this area, hoping to get a treat or 2 from the fishermen’s’ catch. 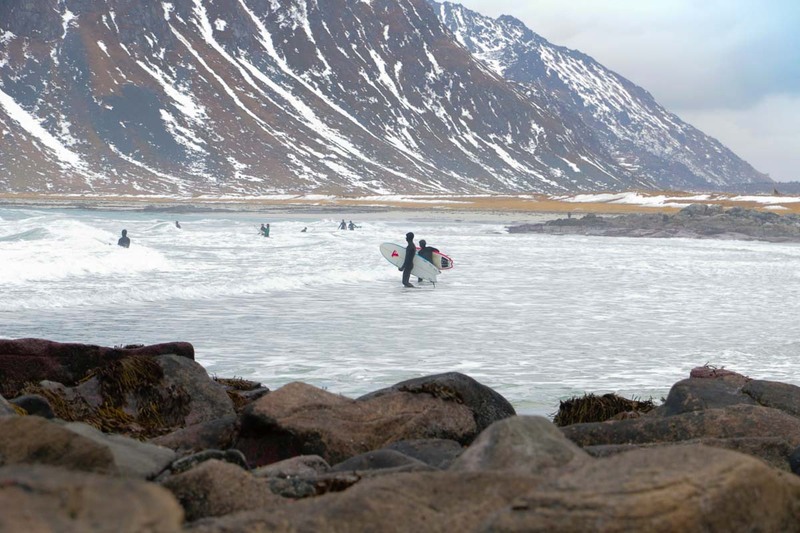 It was 4°C on this day and the surfers were out on Flakstad beach. Even the farms look really scenic here! 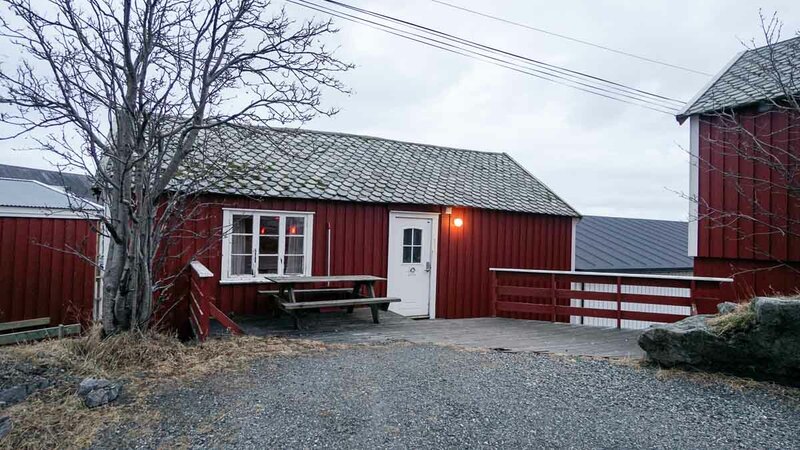 This one in Flakstad houses a couple of Icelandic horses and bearded cows which all looked adorable! End off your day at a Rorbuer in Moskenes. The most iconic one here is the red coastal houses of Eliassen Rorbuer, located in Hamnøy. We had a cosy cabin that could sleep up to 6 which came with a spacious kitchen which was great for preparing our own evening meals. 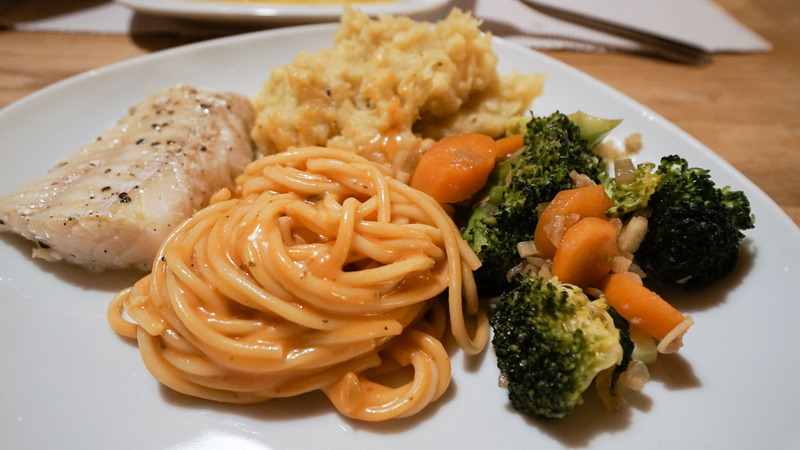 A delicious home-cooked meal of spaghetti, fish, mash potatoes and stir-fired vegetables. View of Eliassen rorbuer from the bridge. 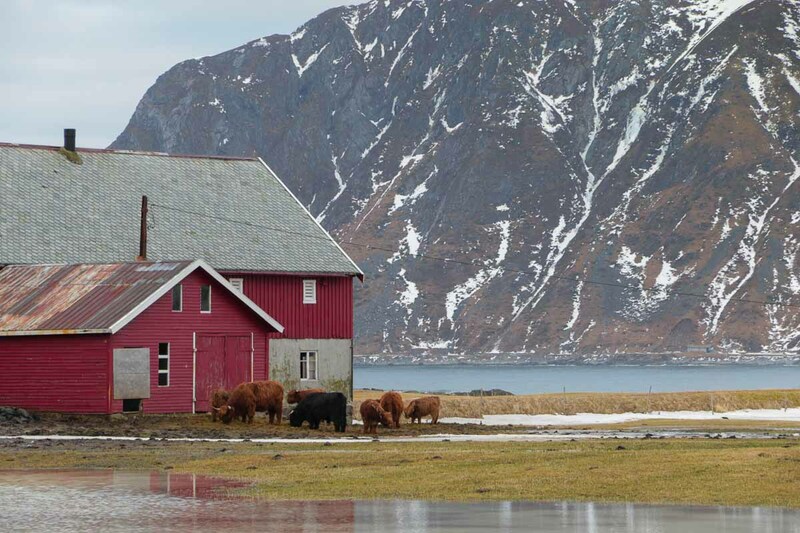 While most of the houses in Lofoten are red, Sakrisøy’s houses are famous for its’ uniform yellow. 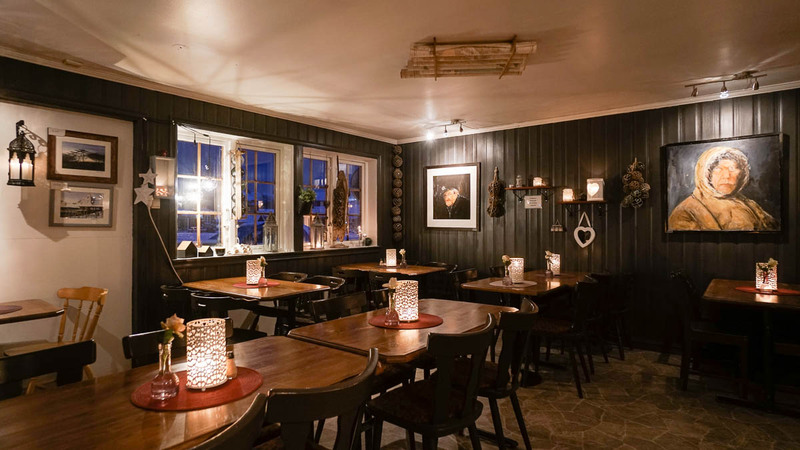 Treat yourself to a meal of Cod fish burger or Fiskesuppe at this cosy restaurant in Sakrisøy. 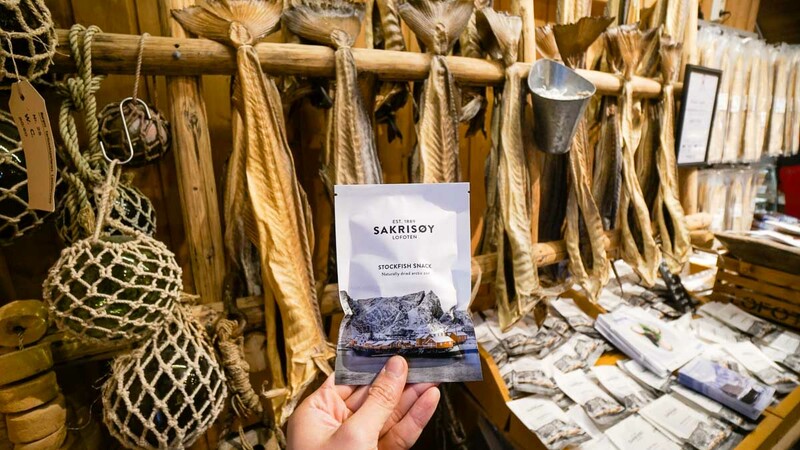 Or bring home some vacuum packed stockfish snacks. Fun fact: Sashimi was first introduced to the Japanese by Norwegians. There’s a popular lookout point just before entering the town where you can park your car and snap a couple of pictures before driving in. For the sweet tooths, treat yourself to a stop at Bringen cafe. 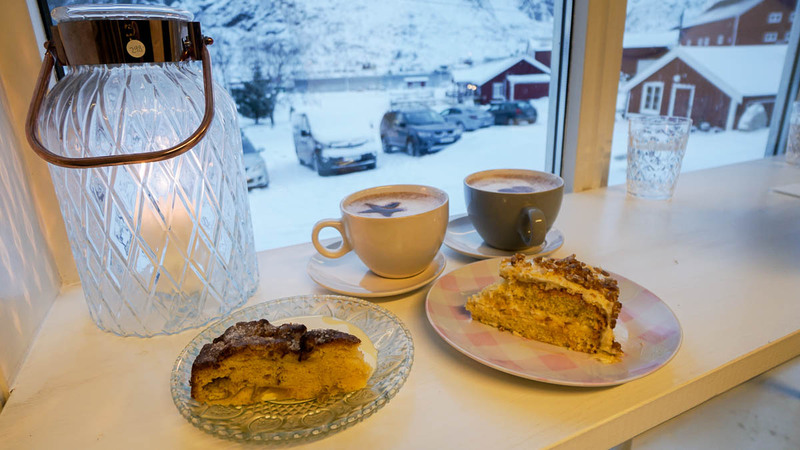 Pictured above is a luxurious cup of hot chocolate (Sjokolade), apple cake and Krokankaka — sponge cake with almonds. Note that this cafe closes at 4PM! Since the ferry and car return was at Moskenes, we didn’t want to travel too far out for our final meal. Luckily, just opposite Bringen was this cosy restaurant — Lanternen. 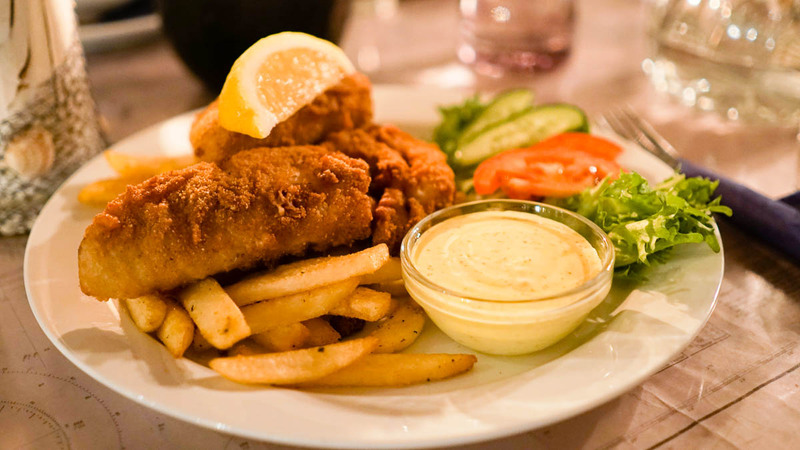 Their fish and chips aren’t too shabby eiher! And that marks the end of our Lofoten leg. We returned the car in Moskenes (right before the ferry port), and caught the 7pm ferry to Bodo (~4hours). We arrived in Bodø close to midnight. 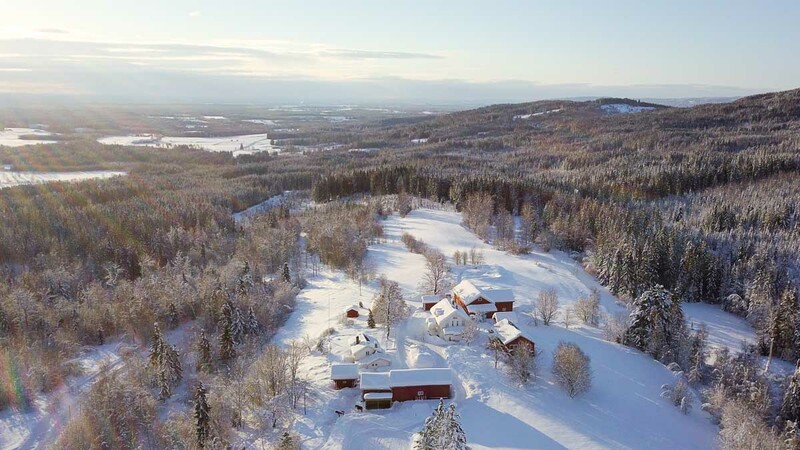 The next available flight to Oslo is at 8:30AM so we’d recommend picking an accommodation near the ferry terminal for a few hours of shuteye. 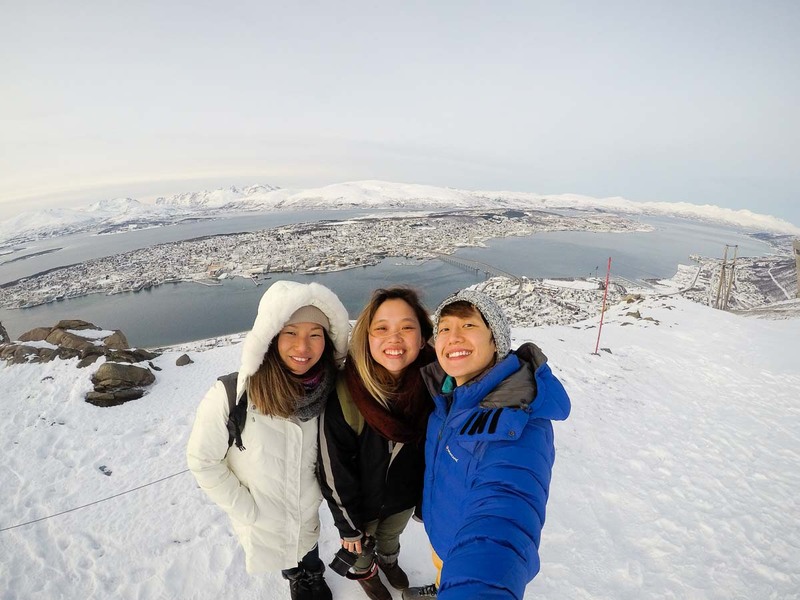 Our entire trip including flights and accommodation was a total not exceeding S$3k — which really is a lot more affordable for a trip to Norway than most people perceive it to be. The flight for instance, on a premium airline like Emirates didn’t cost more than S$1.2k. Depending on season, this can go as low as S$800, round trip. What I thought was a little pricy was the flight from Tromsø to Leknes (S$250 one-way). 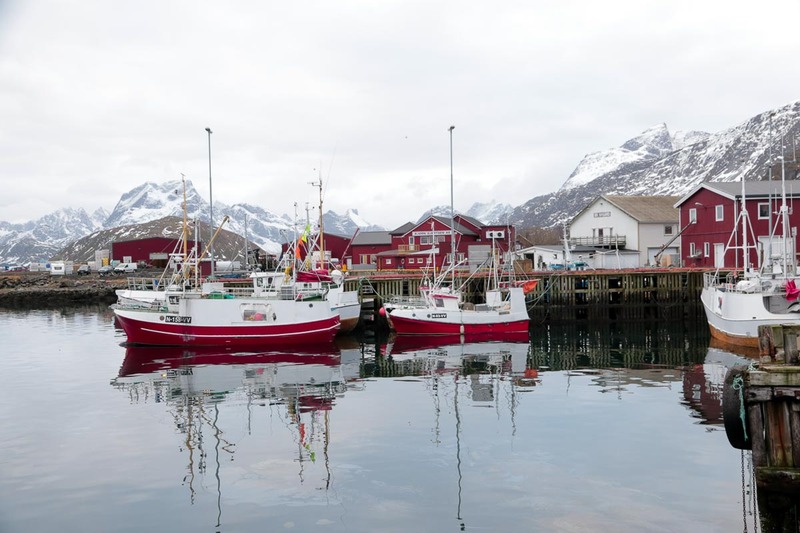 If you have a couple more days to spare, you could consider taking the Hurtigruten which is a scenic 17-hour cruise that departs Tromsø at 1:30AM and arrives in Svolvær (Lofoten) at 6:30PM the same day. Another alternative is to fly to Bodø and take the 4 hour ferry to Moskenes. Food in cafes and restaurants can easily cost ~S$25-40 but thankfully, finding an accommodation with kitchen facilities isn’t difficult and groceries are affordable from the various supermarkets (Bunnpris and Coco Prix). 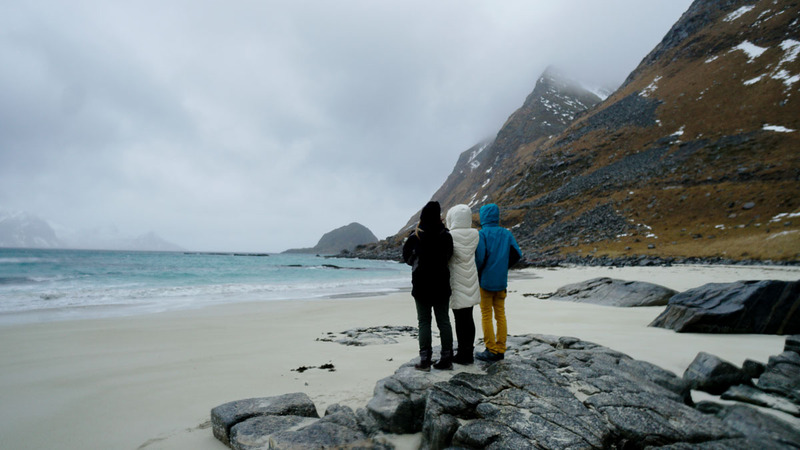 For 4 days in Lofoten, we spent under S$50/pax on 6 meals. 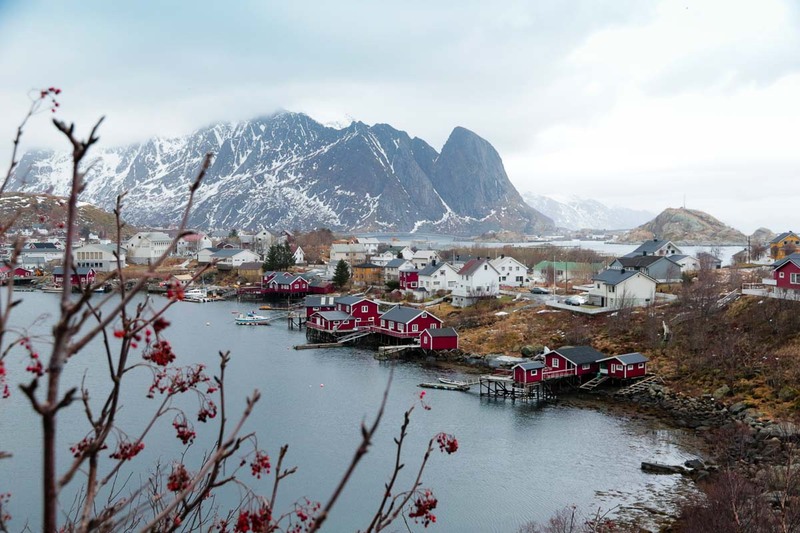 If Norway is on your bucket list, there’s no better time to cross it out! If you only have one week or so, I would suggest going to Senja from Tromso rather than Lofoten. Apart from the Hurtigruten, there are daily fast ferries from the center of Tromso to Finnsnes taking slightly more than an hour one way and are cheap . 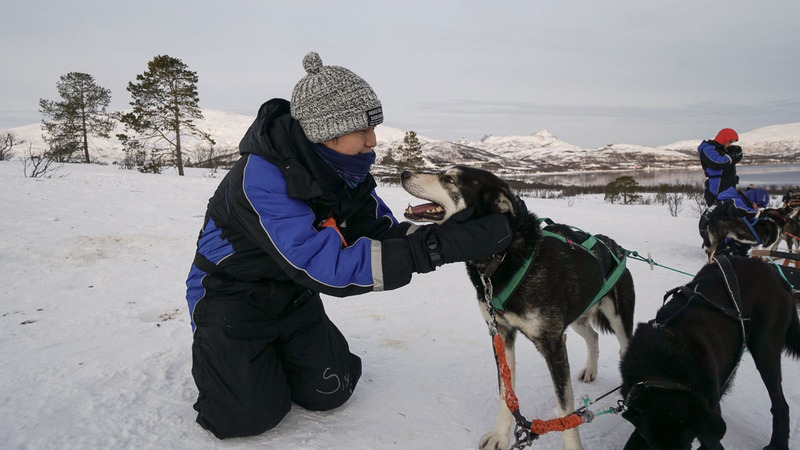 When you are in Finnsnes, you can rent a car to get around in Senja or book a accommodation/activity package with an operator and have the operator pick you up. The landscapes of Senja are very similar to Lofoten and it has less tourists. No need for the hassle of a flight which eats up half a day. Great suggestions Tim! If only we knew you before our tip. Hi, was wondering which car rental did you use at Leknes Airport? Hi. I am interested to visit Lofoten in December and based on research, transportation is a hassle over there. 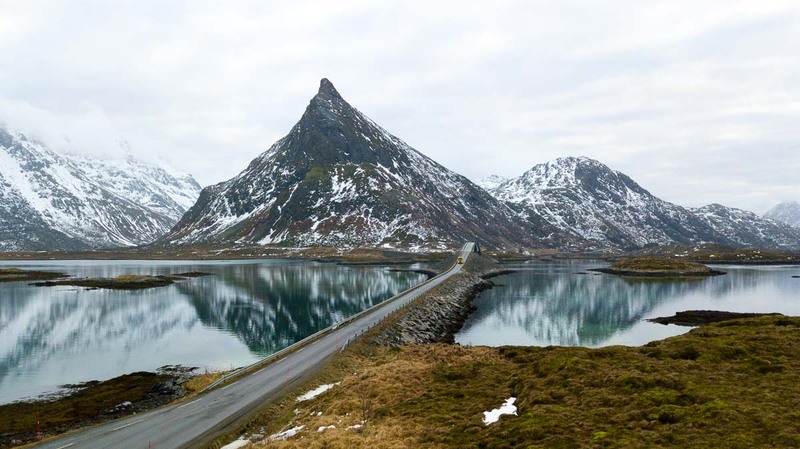 May I know which month did you visit Lofoten and how’s the driving there under snowing condition? Hey Andy! We were there end Jan early Feb and drove around fine! There was a day where our car got covered by snow overnight, but generally just drive carefully and things will be ok. There are many factors that determine whether you see the Northern Lights though and it’s never a guarantee. October is a pretty good season though so there’s a good chance! Hi can i check the tour company for the 2 day 1 night tour? And did you join a northen light chase? Hi Pui Hoon, Yup it’s 2D1N but it starts in the evening on the first day and ends on the afternoon of the second day. The details can be found here but it’s only available in the winter season. We didn’t have to chase as the northern lights were all around us! We were simply sitting around a campfire chatting and waiting. Sorry if I have confused myself about your Lofoten journey. Is there a typo on top of Day 4 and Day 5? Did u do Fasktag on Day 5 instead of Day 4? And Moskenes on Day 6 instead of Day 5? Other than trying to clarify the above, do you think it is possible to base ourselves at one place for 3 nights in Lofoten instead of moving every night? Are the distance all very far? I googled and it seems to be about 60km max between places. Do you think it is doable? Or at least 1 night at one place, and 2 nights at another place? If yes, do u think it is better to base ourselves at Lybderson Rorbue or Eliassen Rorbuer? Yes you are right about the typo! If you’re covering where we went, it’s possible to be based at one location, though that will mean you will have to head out earlier! We wanted a bit more time as day light was short and we were filming a lot! Thank you Hendric for the helpful tips! Did you bring your luggage when you join the 2D1N Aurora Camp? We didn’t but there were people who did! Thanks. Where did you leave the luggage? How did you make the car rental ? Cause I can’t find the RentACarMoskenes Official website . yep! in terms of safety, Norway is probably one of the safest countries you’ll ever encounter. 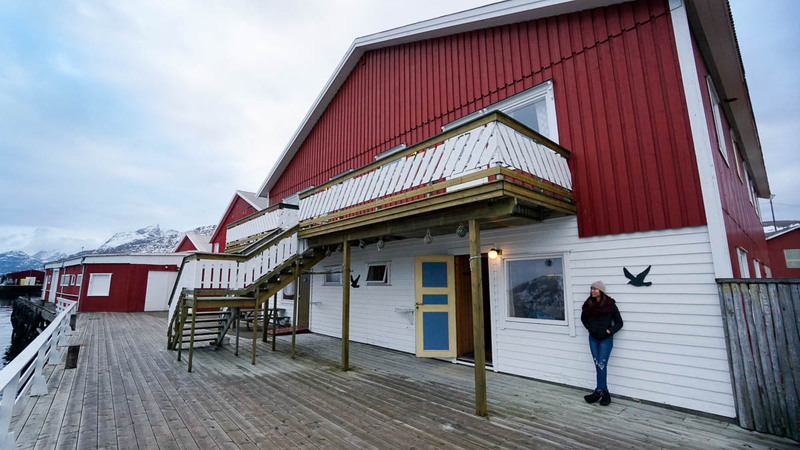 However, Lofoten might be really expensive if you don’t have friends to split the cost of the car rental and a Rorbuer — public transport (especially during winter) is also really sparse and there are no hostels there. Anw, happy birthday in advance! Hi, thanks for the useful tips and itinerary, we are going to do self drive in coming March 2019. Hello Irene, in this itinerary, we only drove within Lofoten. The roads there are quite small so you’ll be driving pretty slowly. Not too sure about driving longer distances like Oslo and Tromsø though! HI. Can Singapore driving license acceptable in Norway? Conversion to International driving license require? Thanks.